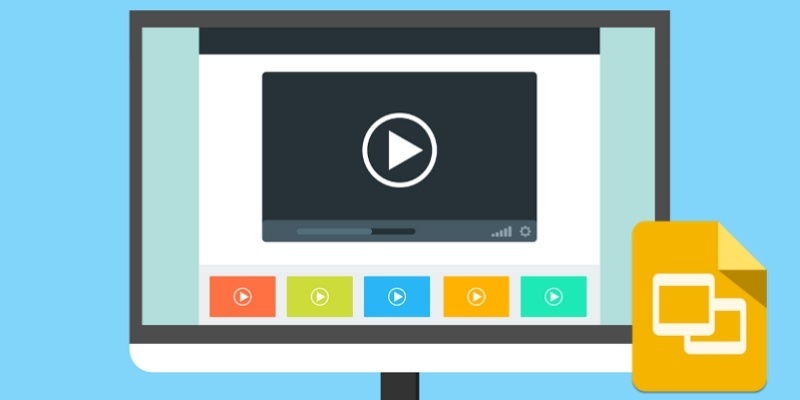 When you’re creating a professional-looking slideshow, you may want to add a video to it. 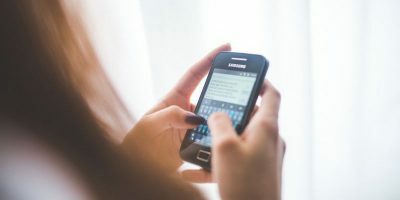 A well-placed video provides a good “break” in the presentation, mixing things up and holding your audience’s attention. Of course, you don’t want to pause the slideshow and hunt down your video mid-presentation! 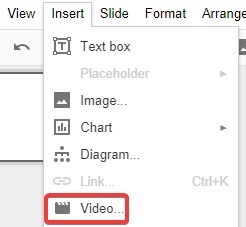 If you’re using Google Slides, you can easily set up a video to play within the slide itself, saving you from having to stop the show. You can even set it to automatically play when you reach the slide it’s on, as well as tweaking when to start and stop in the video. If you want to add a YouTube video to your presentation, most of the work is already done for you! All you need to do is insert it into the slide and tweak it to your liking. 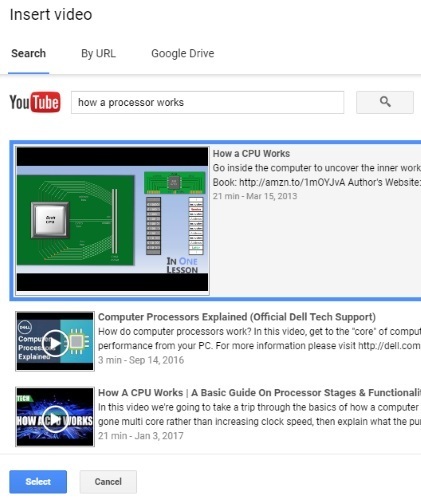 In the “Search” tab you can search YouTube for a video. This is perfect if you have ideas on what kind of video you want for your presentation. By clicking on the video player beside each result, you can watch the video. Go through the results and pick out the one that suits your presentation best. When you find a good fit, either double click the video or click “Select” at the bottom to insert it into your slide. 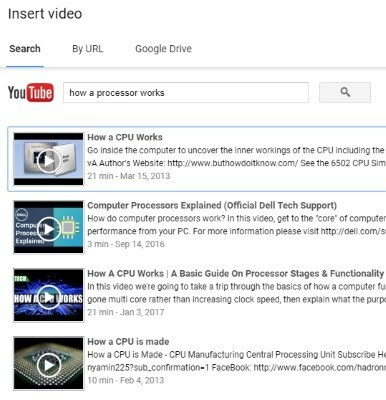 If you know exactly what YouTube video you want to show, click the “By URL” tab at the top and paste the video’s URL into the box. Click “Select” to then insert it into your slide. 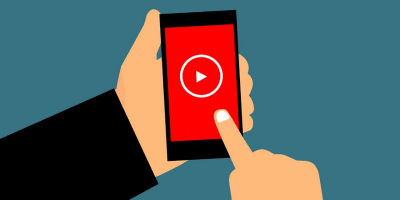 If you have a video of your own that you want to share, there are two ways to add it. The first is to upload it to YouTube and perform the steps above. If you’d rather not do that, the second method is to upload it and let Google Slides know where the video is. 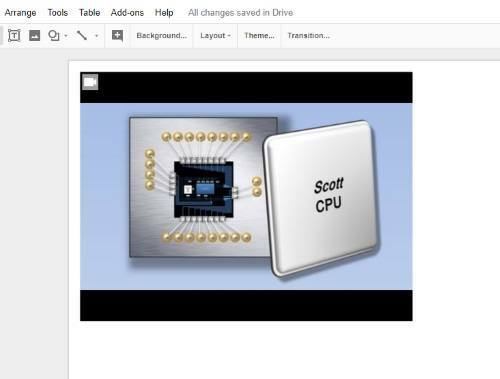 Thankfully, because Google Slides and Google Drive are connected to one another, you can use videos within your Drive in your presentation. 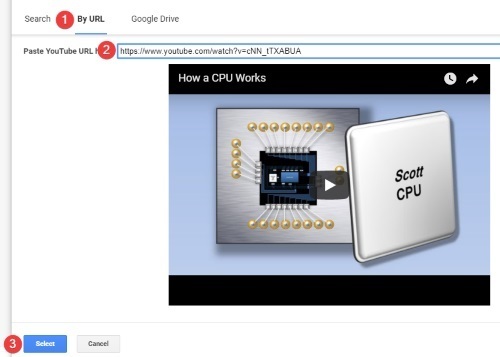 First, go to Google Drive and upload the video you want to use. You can do this by clicking the “New” button followed by “File upload,” or dragging the video file into the browser window. Click on the “Google Drive” tab at the top. Here you can see all the videos you’ve uploaded to your Drive. Find the video you want to insert and double-click it to insert it into the slide. 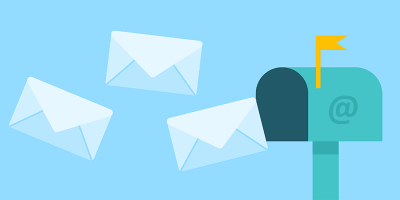 You may need to wait a little for Slides to get your video ready from Drive. 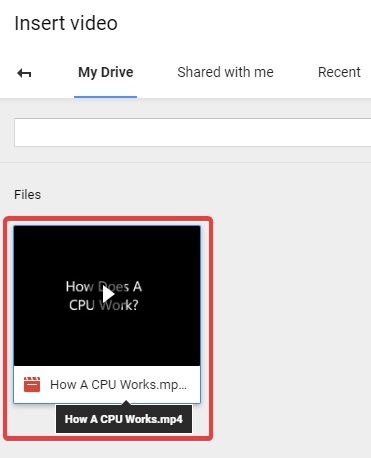 If someone has shared the video with you on Drive, it won’t show up here. Instead, click the “Shared with me” tab to find and insert the video. If you leave the video as is, you’ll have to manually click the “Play” button during your presentation. If this is fine, you’re ready for your presentation. 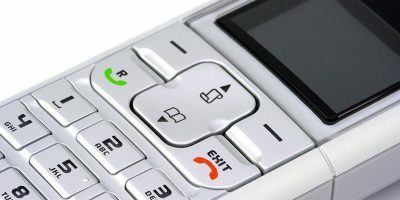 However, there are some additional options available that make playing videos in a presentation easier. A bar will appear on the right. 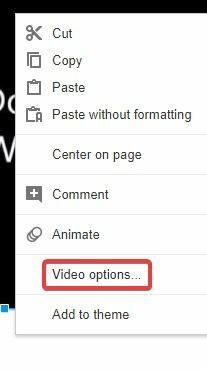 Here you can set a variety of options for your video. The first option sets a start and end time. 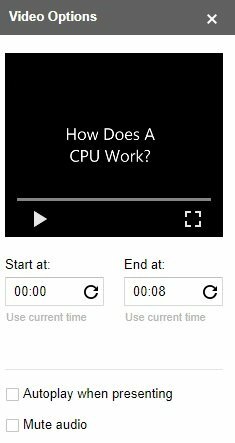 If you don’t want to play the entire video, set the times you’d like to play from and to. This is particularly helpful if you want to focus on a specific part of the video and don’t want to hunt for it mid-presentation. Once you’re finished, play the slideshow and check to be sure everything works properly before going to your presentation. A video is a great addition to any professional slideshow. 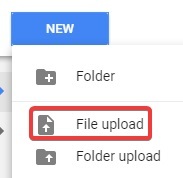 Now you know how to add one into a Google Slide, whether it’s already uploaded on YouTube or on your computer waiting to be uploaded. 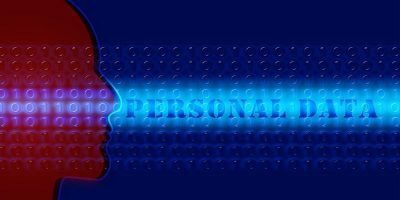 You also know how to customise it to your needs to make sure the presentation plays out as you want it to. How important are videos to you when making a slideshow? 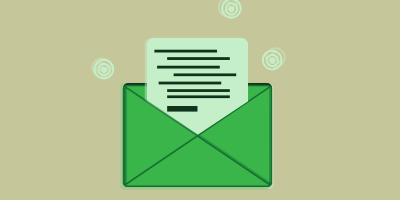 Do you have any tips on making a great presentation? Let us know below! You should be able to upload videos directly into the slides. Going through Google Drive is just an unnecessary extra step. 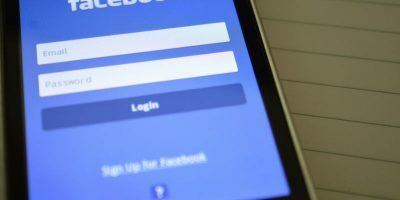 Do You Trust Your Browser to Manage Your Passwords?